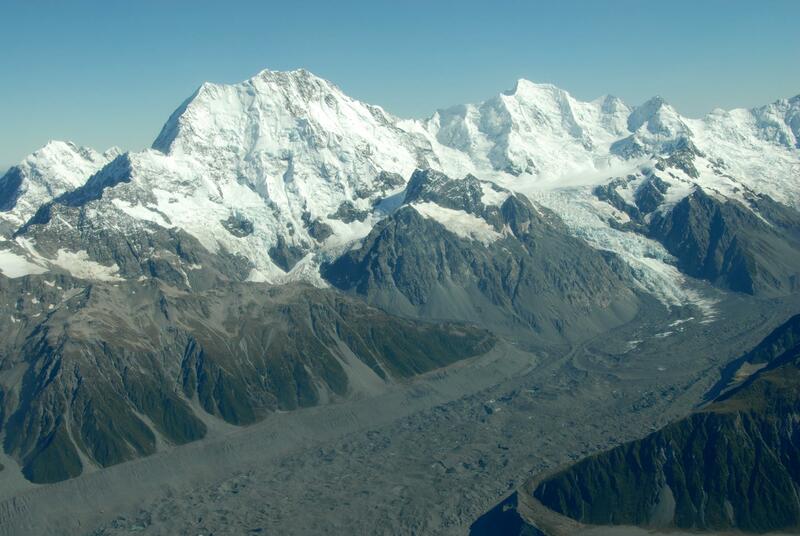 New Zealand’s glaciers lost significant ice mass again last summer. The National Institute of Water & Atmospheric Research (NIWA) has just released the results of its annual end-of-summer survey of the snowline on key South Island glaciers, showing continued loss of glacier mass. 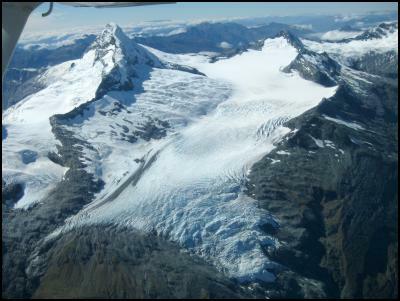 The survey uses a small fixed wing aircraft to fly over 50 glaciers in the Southern Alps and Kaikoura. Scientists take photographs and then analyse the images to determine the position of the snowline after the summer melt but before the first winter snowfall. 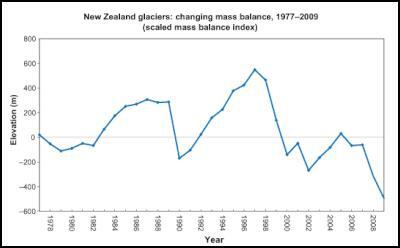 This provides an index of the mass balance or ’health’ of the glaciers of New Zealand. The survey has been going since 1977. NIWA Snow and Ice Scientist Dr Jordy Hendrikx says weather patterns over the course of the year from April 2008 to March 2009 meant that overall the glaciers had lost much more ice than they had gained. This was mainly due to the combination of above normal temperatures and near normal or below normal rainfall for the Southern Alps during winter, and La Niña-like patterns producing more northerly flows creating normal-to-above normal temperatures, above normal sunshine, and well below normal precipitation for the Southern Alps particularly during late summer. The higher the snowline, the more snow is lost to feed the glacier. On average, the snowline this year was about 95 metres above where it would need to be to keep the ice mass constant. This indicates that the loss of glacier mass observed in 2007-08 has continued. When studying and reporting what is happening to glaciers, it is important to look at more than one factor. The position of the end of summer snowline is only part of the story; in New Zealand, an estimated 90% of ice loss from glaciers since 1976 is due to down-wasting and lake calving. NIWA’s snowline surveys show an overall decrease in the glacier mass balance (and thereby volumes) over the past 33 years – but this is punctuated by periods where the prevailing weather conditions caused the glacier mass balance to increase for a few years. Similarly, glacier terminus position (the “length” of a glacier) can be misleading when considered on its own because total volume can be decreasing even while terminus length is increasing. 1. 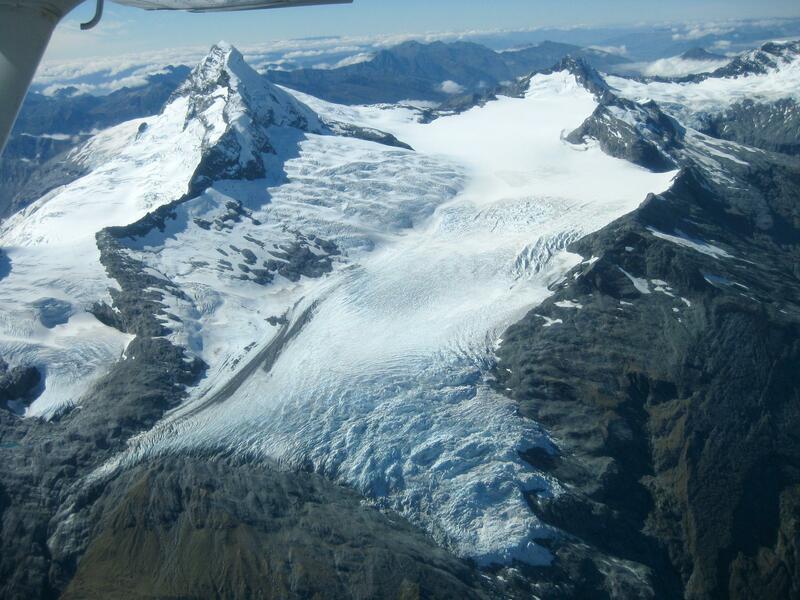 Worldwide, glaciers are regarded as a useful indicator of global warming, but New Zealand’s glaciers are more complicated because they have their source in areas of extremely high precipitation. West of the Main Divide in the Southern Alps, more than 10 metres (10 000 mm) of precipitation falls each year as clouds are pushed up over the sharply rising mountain ranges. This means the mass and volume of New Zealand’s glaciers is sensitive to changing wind and precipitation patterns as well as to temperature. So, for example, the glaciers advanced during most of the 1980s and 1990s when the area experienced about a 15% increase in precipitation, associated with more El Niño events and stronger westerly winds over New Zealand. The glaciers in parts of Norway are similar. 2. Despite the sensitivity of New Zealand glaciers to changes in both precipitation and temperature, the volume of ice in the Southern Alps dropped by roughly 50% during the last century. New Zealand’s temperature increased by about 1 °C over the same period. 4. The level of the glacier snowlines is not necessarily closely related to the amount of snow that falls on the country’s ski fields during winter. Most of the popular ski fields are east of the Main Divide, or in the North Island. 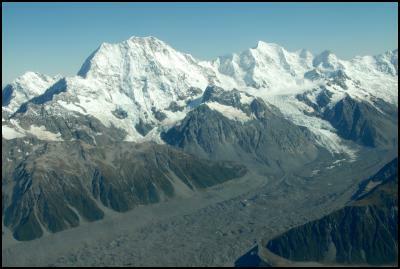 Mount Hutt, for instance, gets its snow from big southeasterlies, whereas most of the glaciers are fed by westerlies. The melt season is also of critical importance, so while a glacier may receive “normal” snow accumulation, it could be subject to above normal melt and the net result is a higher snowline and less ice. Down-wasting: ice melts from the top surface of the trunk. Trunks go from their original convex shape to near-straight or even concave (slight hollow in the centre). 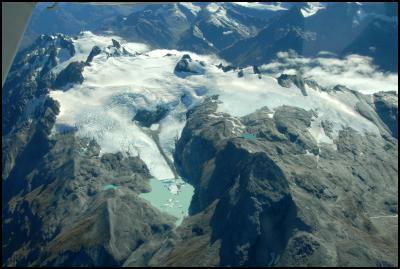 Lake calving: ice melting at the foot of glaciers & meltwater forming lakes. Some chunks of ice ‘calve’ off glaciers into the lakes (like ice bergs).